Intro: Steve Murray, President of REAL Trends, understands the property management industry on a deeper level than your average industry expert. 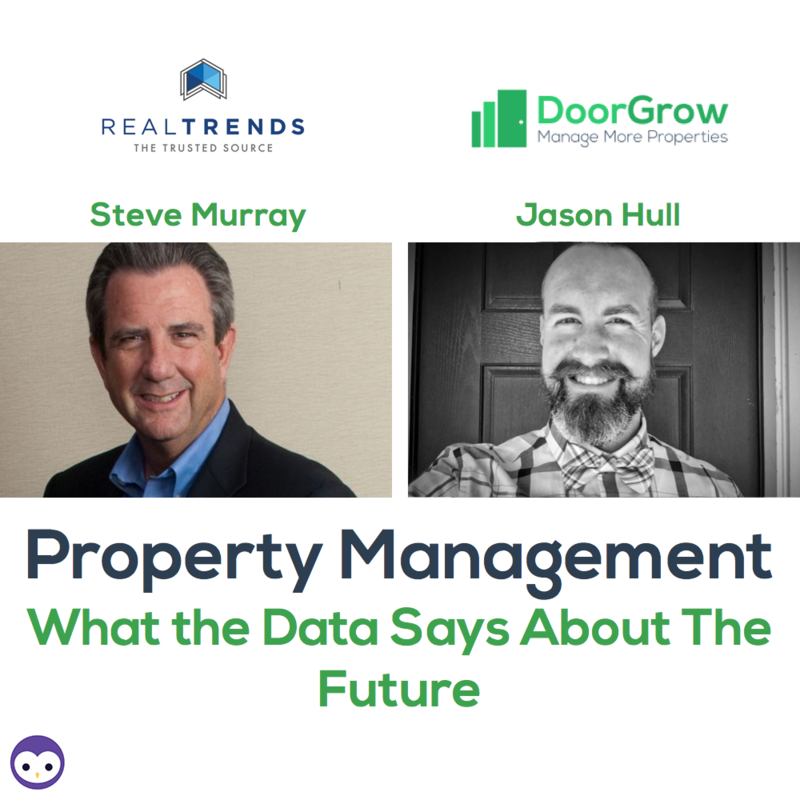 Armed with the hard data, Steve shares what trends are currently impacting the real estate industry, while outlining how property managers can use this information to grow in the years ahead. What lies ahead for the property management industry? We’ll give you a little hint: things look GREAT. Steve and his team have invested countless hours crunching the numbers—we’ve already shared REAL Trends’ 2016 rental housing demographics report and property management trends with you. In this informative chat, Steve digs even deeper, exploring the driving factors behind these industry patterns. He also has a wealth of information on how to grow your business and even shares a few tips for a revolutionary prospecting opportunity you didn’t even know existed. Home ownership rates have fallen from 69 to 63 percent in the past decade—that figure represents some 6 million households. Gen X and millennials have 4-7% lower overall home ownership rates, as compared to baby boomers at their age. Steve explores why young adults don’t own property; the answer might surprise you! Investors are consistently earning 6-12% returns on real estate; traditional money funds can’t match that. The barrier of entry is low for property managers, but you won’t earn real income until you hit this threshold. Think tech tools are an unnecessary add-on? Steve explains why your business can’t scale without them. Want to increase your referrals from real estate agents tenfold? This surefire method gets results. If you’re ready to explode your door count, you don’t want to miss this one-of-a-kind partnership opportunity. Steve also shares his insight into who makes the best renters and why you can count on the need for property management growing in the decade to come. This exciting chat will motivate you to push harder to make your business goals come to life—the numbers are on your side! Looking at getting into the property management industry? Let’s talk.